In all aspects of our lives - housing, education, food and health, transport, the quality and diversity of our environment - public policy is attracting criticism. In the face of unchecked and unregulated market forces, the renewed interest in community-based mutual-aid solutions is gaining force. 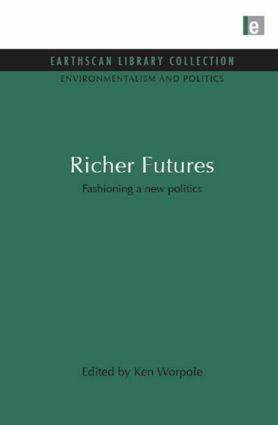 This collection of writings by figures involved in contemporary urban, cultural and social policy (and campaigns), looks forward to a new politics of self-management and environmentally aware and sustainable lifestyles.